compensated as part of a social shopper amplification for Collective Bias and its advertiser. 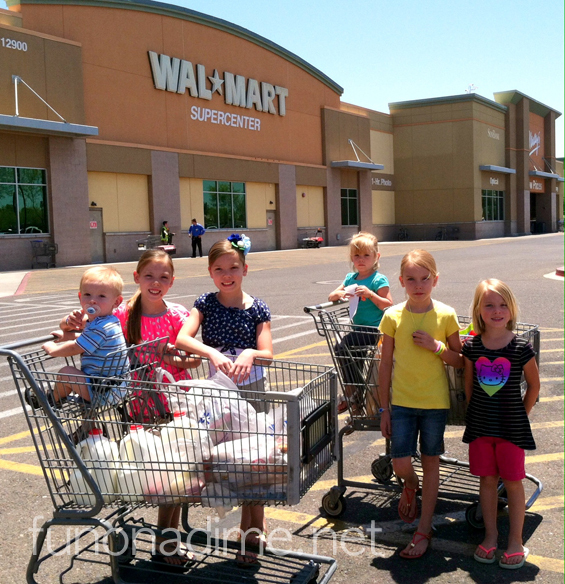 We gathered the rest of our movie night supplies and off we went to go home and get ready! 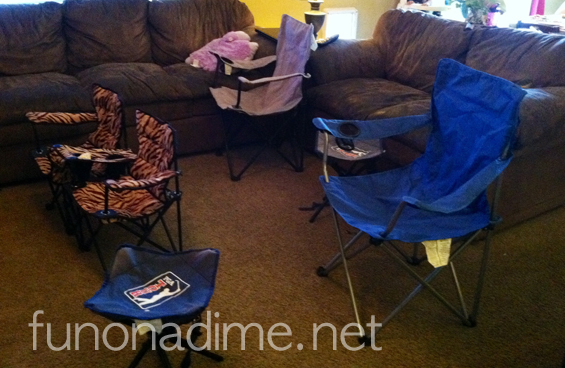 We set up our night by getting our camping chairs out and setting up the room. If you live someplace cooler than sunny Arizona I would totally do this in the backyard but when it is still over a 100 degrees at movie time an air conditioned family room is much more comfortable!! 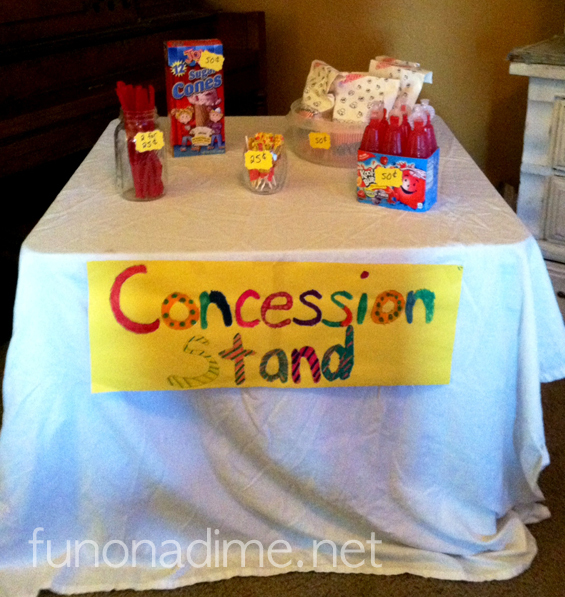 Next we set up our concession stand. The kids are so excited about this part it just might as well be Christmas. I set it up and they just got to look at it and stratergize how they were gonna get what they wanted. They each got $2.00 in quarters to spend and nothing else so they had to pick and choose what they wanted to get. This was so much harder for them than I thought it would be but a great math activity! I love throwing in learning activities when they aren’t expecting it! 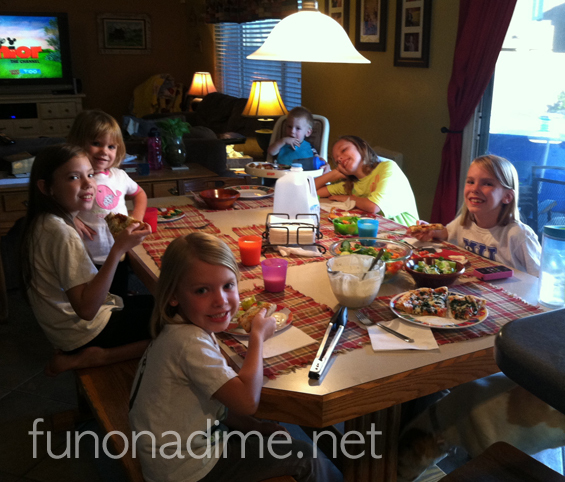 First off of course was our pizza party! We pulled out our oven ready DIGIORNO pizza’s and got to work. We popped two of our pizzas in the oven and while they cooked we made our DIGIORNO Design A Pizza Kit. I picked the spinach, tomato, red onion and pepperoni kit. There were so many choices it was hard to choose but I am so happy I picked this one it was delicious! 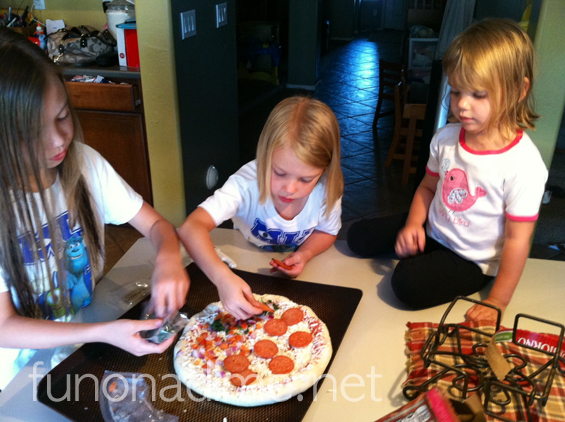 The kids had a blast helping put the toppings on. Having the kids interact with food always helps kids be adventuresome and try foods they wouldn’t normally try. The other pizza’s that we picked were the pizzeria! from DIGIORNO pepperoni and the DIGIORNO Rising Crust cheese pizza. These were all kid approved and super yummy! Add a side salad and dinner was a complete hit. A huge plus was the cost savings. 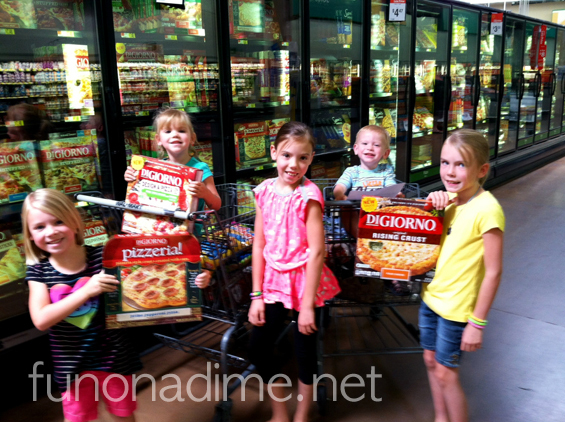 DIGIORNO oven ready pizza’s are great to have in the freezer for a fun family night at a fraction of the cost of ordering delivery pizza. Now let our at home drive in movie night begin, after a trip to the concession stand of course! 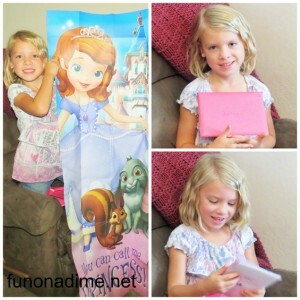 You have to try this activity out at your house! 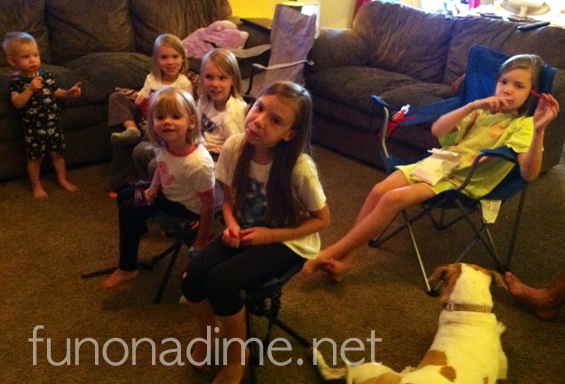 My kids exclaimed it was the most fun movie night ever!!! It will definitely be added to our summer traditions list.